Product prices and availability are accurate as of 2019-04-13 09:27:42 EDT and are subject to change. Any price and availability information displayed on http://www.amazon.com/ at the time of purchase will apply to the purchase of this product. These dry wipes are made from 100% bamboo fibers and are 100% biodegradable. 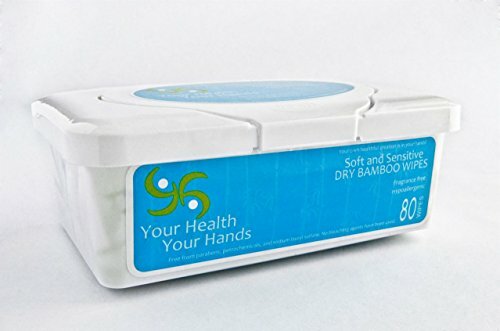 The bamboo fibers create a very soft wipe that is especially great for sensitive skin (such as a baby's bottom). Not only are they free of parabens, petrochemicals, sodium lauryl sulfate, fragrances, and bleaching agents, but they are also hypoallergenic and tear resistant. The wipes are naturally off-white in color as no bleaching agents have been used. The wipes come dry, so you can make your own natural formulas and create high quality wipes that are specific to your needs. 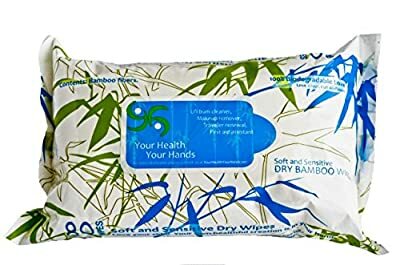 Because they are biodegradable, you can use them as disposable wipes and throw them in the trash (not the toilet). But, if you prefer, they can also be washed and used a few times since they are very sturdy and tear-resistant. Note: For a longer life-span, let them air dry rather than placing them in the dryer. Please note that it is always better to let the wipes remain dry and add the liquid solution to them right before you use them.